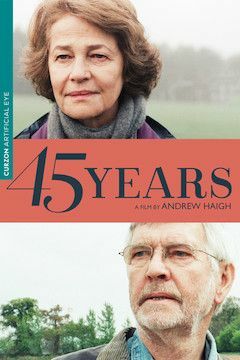 Charlotte Rampling and Tom Courtenay star in this moving drama based on a short story by award-winning British poet David Constantine. As Geoff (Courtenay) and Kate's (Rampling) 45th wedding anniversary approaches, they receive a troubling letter that says the body of Geoff's first love has turned up frozen in the Swiss Alps. Where once there was harmony and love in their marriage, there now resides doubt and turmoil, and the upcoming anniversary party may not go ahead at all.